Business has no age boundaries. Although, some people believe that successful business require a great deal of experience but we have seen examples of different people defying this saying and becoming successful businessman and businesswoman at amazingly and unbelievably young ages. You can find hundreds of examples of young and established businessman and businesswoman on the internet today. According to the CEO of Buddy Loans who believes that business cannot succeed without a capital investment. “It is usually difficult to believe that someone with no cash and experience can become that successful.” Here we have listed few examples of young entrepreneurs who became successful at a very young age. Is there anyone on earth who is not familiar with the social networking website Facebook? Your answer would probably be no. 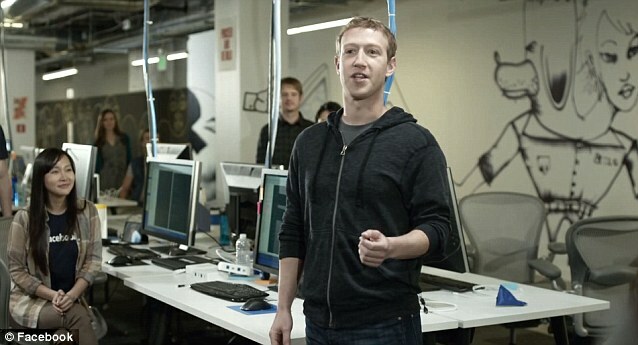 The fascinating fact about the owner and creator of Facebook is that he developed it while he was still in the Harvard. After launching his website from the dorm roam, he has become the most successful and youngest self-made businessman worth billions of dollars. After the initial success of the website, he dropped out of the college and become the CEO of it. Today Facebook has more than 400 million of users and is labelled to as the most successful website ever built. One of the famous food chain network known as Subway sandwich restaurant was started by Fred De Luca in 1965 by acquiring a loan of $1,000. He wanted something to earn for his college and therefore decided to be an entrepreneur at a young age of only 17 years. He opened his first shop in Boston and since than the chain has grown to an outlet of 32,401 making the sale of $9 billion yearly. He started a website in 1997 named as AnandTech. He started this as a hobby at the age of 14 which went on to become the best website regarding computer advices and tech bargains. Carl built an internet provider company named as DMC in 2001. He was just 15 years old at that time. His company provide solution to the business with internet service. The company offers a wide range from internet security to wireless broadband. Churchill made the “Rich List” of Royal Bank of Scotland of U-21. He is expected to worth about $100 million by 2020. He was fond of designing clothes since child hood. When he was 12 his Clothing line took a boost. Since then, he has been behind the dressing of some of the most famous people of the planet including Beyoncé, Alicia keys and Cameron Diaz. He is expected to worth more than 30 million pounds by 2020. It is almost impossible for us to believe that started working on the HTML at the age of 4. This maybe the prime reason why he is referred to as the wonderkid of programming. In competition with the website Flickr he started his own photo sharing website at the age of 17 name as Zoomr. The head quarter of the company is in Japan and is responsible for the creation of Japans first society based community site. We have seen the examples of how young kids used technologies to start business and become successful. But this boy used a more traditional approach. At the age of 14, while he was still in his school, he started making jams. He quit his studies at the age of 16 in order to work full-time for his business named SuperJam. Today the company hold the 10% of total jam sold in the United Kingdom. They sale approximately around 500,000 bottles of jam per year. Also Checkout Electronic Components Sourcing Tips for Hardware Startups.